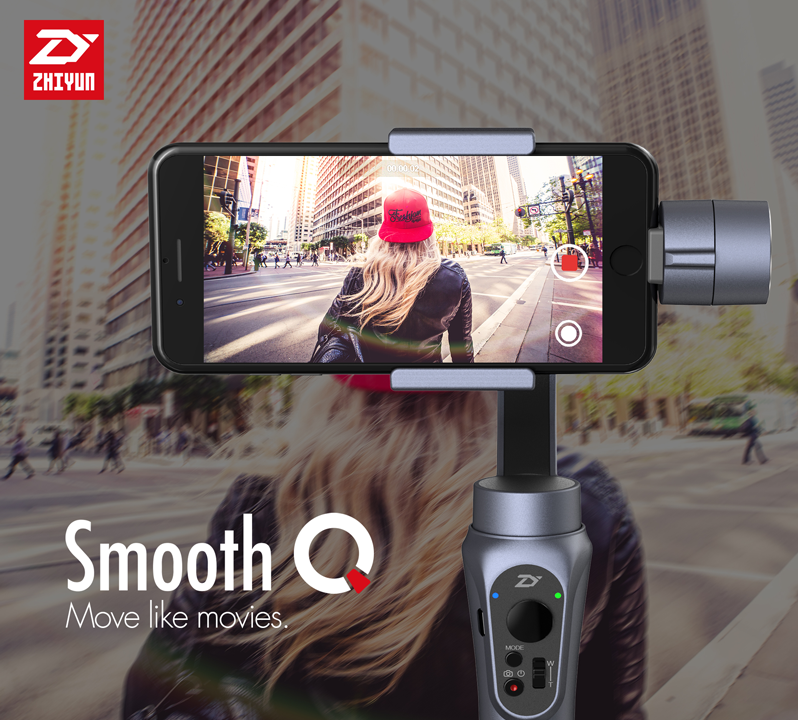 Zhiyun Smooth-Q Multi-function 3 Axis Handheld Steady Gimbal with 360 Degrees Rotation for all Smart Phones within 6.0", including iPhone 7, 7 plus, 6s plus, 6s, 6 plus, 6, 5S, SAMSUNG Galaxy S7 Edge, S7, S6 edge, S6, S5, S4, SIII, Note 5, 4, 3, A7, A5, A3, Motorola, Sony, Sony Ericsson, Blackberry, LG, Huawei Mate 9, Mate8, P9, P8, BLU, support real time mobile charging with 5V/2000mA power output, 12 hours battery life. 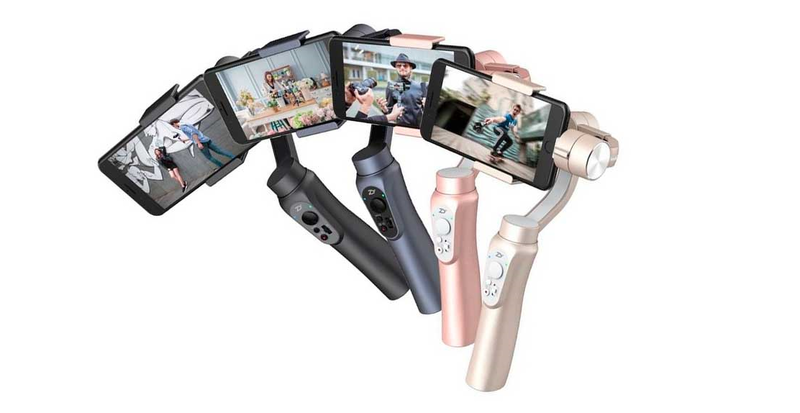 The new generation 3-Axis handheld gimbal stabilizer, Smooth-Q, from Zhiyun-tech is designed for most smartphones with sizes within 6.0”. It is ultra-light, agile, and powerful, and helps you capture smooth and steady frames by eliminating all shakes in shooting. Compactly constructed with a built-in battery supporting up to 12-hour runtime, it weighs only 440g (0.97lb) with excellent portability. Featuring advanced electronic stabilizing technology combined with unique extendable axis design for easy one-step balancing, it not only can work with PLUS-size smartphones, but further supports various add-on matches, such as external lenses and light-compensating lamps. 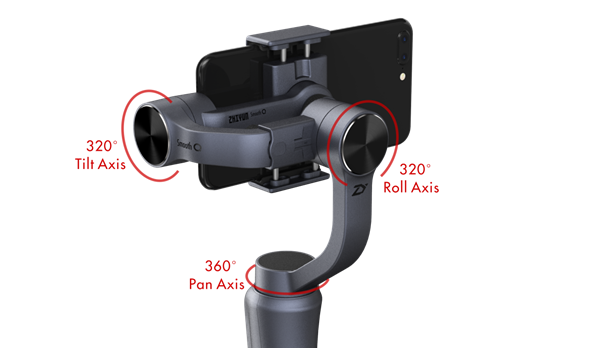 While it offers unlimited 360° rotation along the pan axis and allows for panoramic image capture, the 2-way mobile mounting clamp makes it much easier to change the smartphone mounting direction (vertical & horizontal) to facilitate different usages. High efficiency design, the combination of high precision brushless motors and superb-level machining bring us the highest quality portable gimbal. Compact and light-weight design allows convenient mounting for hands-free shooting. Convenient 5V/2000mA power output for real-time mobile charging and various add-ons. 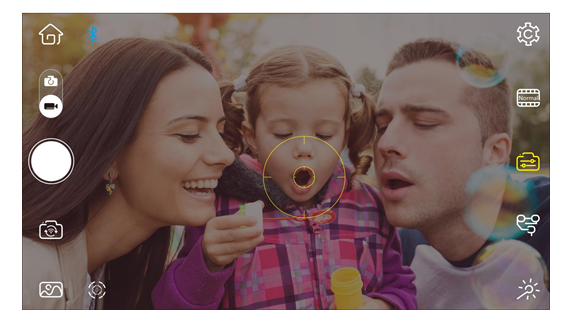 The Smooth-Q turns your smartphone into a professional digital camera allowing various external add-ons for extensive applications. It supports a max. payload of up to 220g/ 0.48 lbs, such as external lenses and light-compensating lamps. 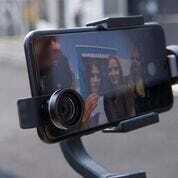 It allows convenient manual zooming control through the stabilizer when connected to the mobile with ZY Play (dedicated mobile APP) via Bluetooth. The Smooth-Q offers unlimited 360° rotation along the pan axis and allows for vertical and panoramic image capture. It supports extended 12-hour continuous work time with built-in rechargeable batteries that greatly enhances Smooth-Q’s portability allowing convenient charging via USB cable. 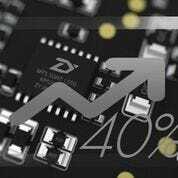 The Smooth-Q features the 5th Gen. Instune algorithmic system empowered by 32-Bit MCUs running at 4000Hz that realizes 40% increase on motor toque output. Supports wireless control via a free-download iOS/Android APP, use APP to control the PAN, TILT, ROLL and more intelligent controls, such as auto object tracking, time-lapse and multi-style filters, etc.